Kansai International Airport "Kaijo Access Terminal Pier"
Go from the Maritime (Kaijo) Access Terminal to Kobe Airport "Kaijo Access Terminal Pier". Kobe Airport "Kaijo Access Terminal Pier"
Transfer to the Port Liner Line at Kobe Airport "Kaijo Access Terminal Pier". Take the Port Liner Line going toward Sannomiya station. Get off at the "K Computer Mae Station" (Kobe Animal Kingdom). Take special Rapid Service at JR Line. about 21 min. Get off at Sannomiya Station. 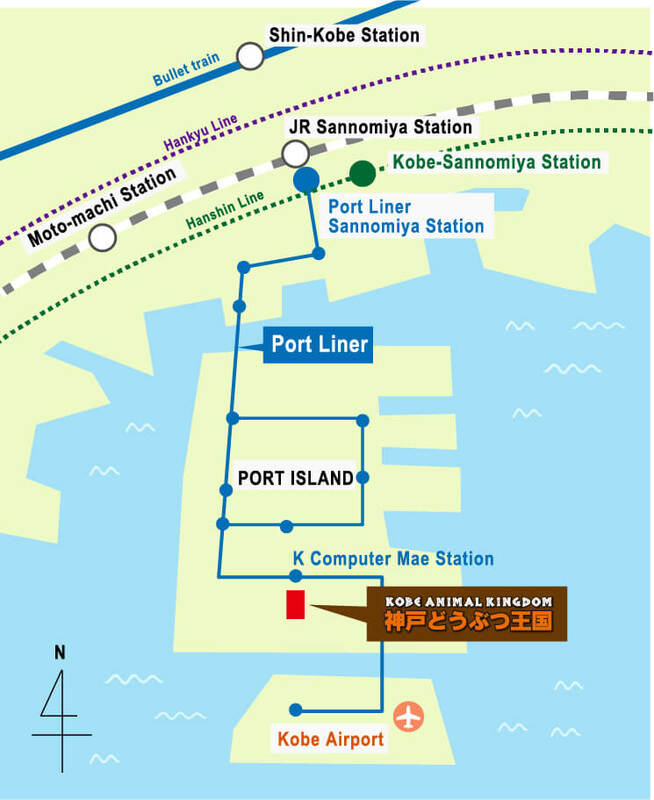 Change for the Sannomiya Station at Port Liner Line. 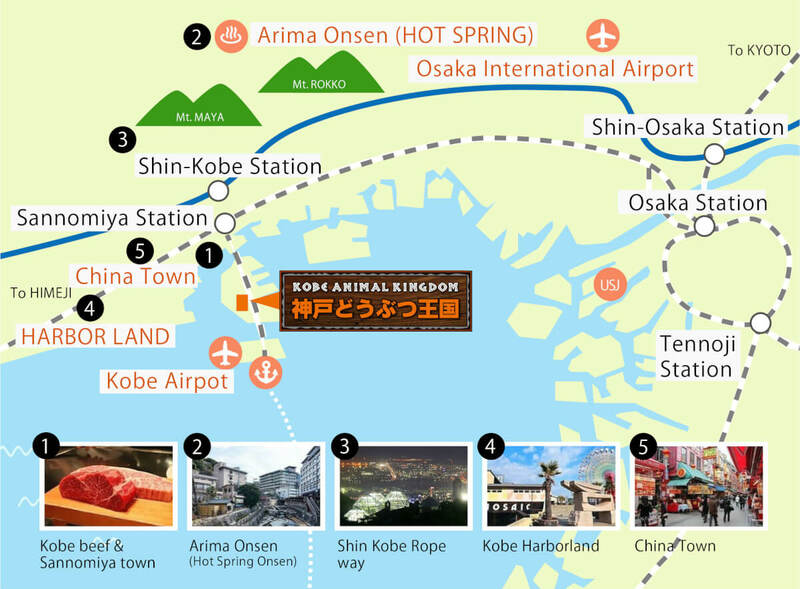 Take the Port Liner Line going toward Kobe Airport. Take Limited Express at Hankyu, or Hanshin lines. About 33min. Kobe Sannomiya Station at Hankyu, or Hanshin lines. Get off at Kobe-sannomiya Station. 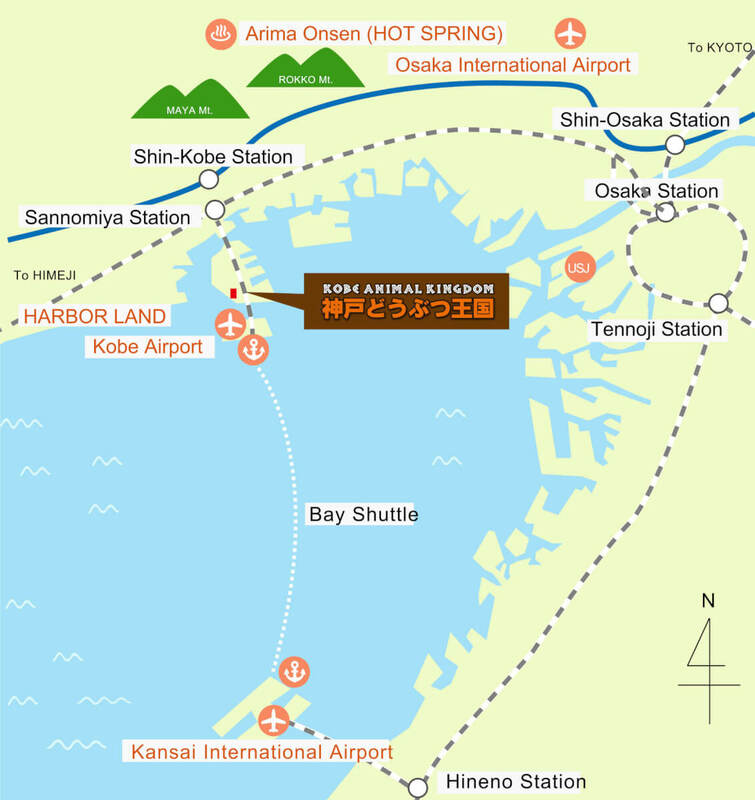 Change for the Sannomiya Station at Port Liner Line. Take the Port Liner Line going toward airport. On the Kobe Municipal Subway, take the Seishin-Yamate Line for Seishin-Chuo. About 2 minutes. Get off at Sannomiya Station at Port Liner. Take the Port Liner Line going toward airport. About 14 minutes.